Get a branded mobile event app for your next big thing! 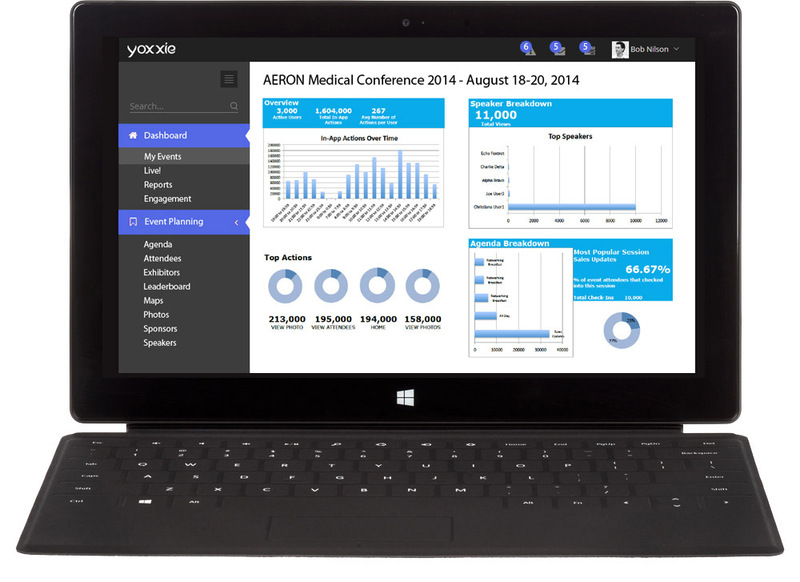 Yoxxie has been designed to deliver rapid insights throughout the life of your event. Your event data is being generated by attendees, sponsors, exhibitors, speakers, and sessions at all times. With a Yoxxie event app, we make it easy for planners to extract meaningful value from the event. The ROI you glean from Yoxxie analytics & reporting will help you discover why you invested in a Yoxxie event app. We built Yoxxie for you! Yoxxie allows event participants to easily connect with exhibitors, speakers, sponsors, and each other. Most importantly, we gave you the ability to focus on what is important to you and share that with everyone. We gave you a way to generate leads through the Yoxxie mobile engagement platform. You can share your products, media, and core capabilities with everyone attending a Yoxxie powered event. Team members will be tied to your profile to ensure full exposure of your capabilities. Yoxxie gives you a quick and easy platform to promote, plan, and execute your events. Event setup is simplified, branding is easy, analytics & reporting are a snap, and the Yoxxie content management system will coordinate the event promotion details you need for success.